The popular consensus on Early Access fluctuates with the ups and downs, booms and busts of a fully functional Western economy. Right now, we’re in the good times thanks to PlayerUnknown’s Battlegrounds – which is on course to become one of the most successful early access games of all time. Also, I recently spoke with some developers about how Early Access helped them realise some of the finest games on PC. Not everything on Steam Early Access is bad. Here are five games that make Early Access great. But for there to be good times, there must also be bad. With that in mind, here are six cautionary tales about how not to do Early Access. 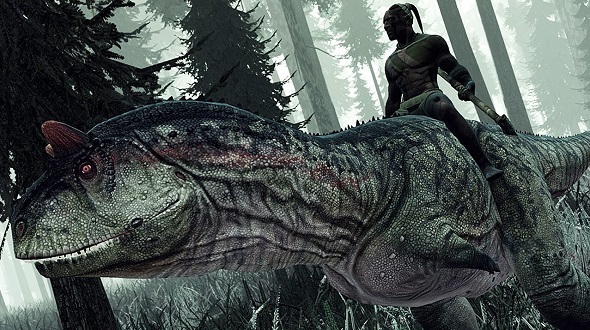 Dinosaurs, survival mechanics, and cavemen. Where today those buzzwords might be approached with cynicism by prospective players who’ve been burned one too many times, back in 2013 the cocktail was intoxicating enough to raise $114,000 on Kickstarter for developer Alex Fundora. Commanding the relatively lofty price of £18.99 on Steam, and with a majestic trailer that showed off all manner of primeval adventuring and dino-riding, The Stomping Land made an impression like a Brachiosaurus footprint. But it never evolved beyond its most rudimentary stage. Fundora disappeared without trace or comment, leaving the game an unplayable mess, and – worse – several members of his dev team unpaid. One Steam user claims to have done some detective work (on Steam), and discovered that Fundora is now hiding out in Colombia, presumably in a luxury high-security jungle compound funded by his Kickstarter funds, extracting DNA from amber, and awaiting the inevitable assault from angry backers/escaped velociraptors. Another survival sandbox that never got off the ground. 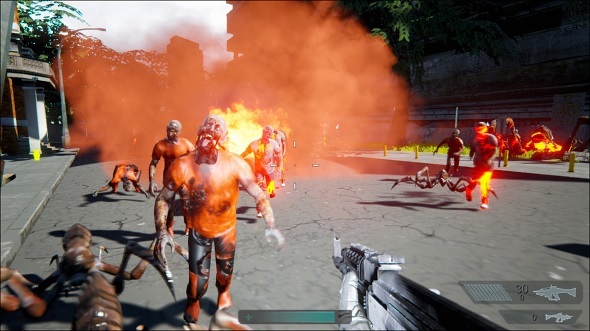 The Dead Linger, from Sandswept Studios, was to be an open-world zombie survival game, taking place in a massive, procedurally-generated world some hundreds of square kilometres in size. But designer Geoff Keene, who raised $150,000 for the project over Kickstarter, quickly ran into trouble. The engine he and his team made for the game couldn’t handle the demands of such large-scale procedural generation, so they moved the entire game over to Unity. That didn’t work out either, so they ported it again, this time to Unreal Engine 4. But by this point the game was broken beyond repair, even after it had been scaled down from its initial colossal size. Unlike Fundora, Keene was communicative with his community throughout, regularly publishing blogs and vlogs detailing the game’s progress – or lack thereof. In late 2015, Keene faced the music, writing a post detailing what went wrong and why the game was finally being shut down. Today, Keene continues to make games, but much smaller in scope, steering clear of Early Access and quixotic ambitions. It’s always sad when an Early Access game from a fledgling developer flops. But when said game is headed up by legendary designer Tim Schafer and his studio Double Fine Productions, you start to wonder whether anyone is safe. Coming off the back of the divisive-but-successful adventure, Broken Age, Double Fine pitched Spacebase DF-9 as a complex game about building and managing a space colony. Raising over $400,000 in crowdfunding, it promised a panoply of content that would make it Dwarf Fortress-esque in depth, with a years-long development cycle in the vein of Prison Architect. It was not to be, and Double Fine was forced to abandon the project within a year due to lack of funding. The game /did/ get a full release, but it was a husk compared to what Double Fine had promised. Backers were understandably peeved. Double Fine had misjudged the audience’s interest, while those that did buy into it did so on a lofty promise that was a far cry from the game that was already there. 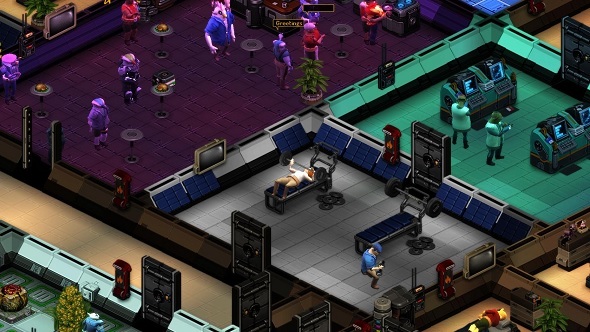 Spacebase DF-9 remains available to buy on Steam, its code released to the public so the community could work on the game themselves. Its ‘Overwhelmingly Negative’ reviews, however, are a grim testament to the dangers of not living up to audience expectations. 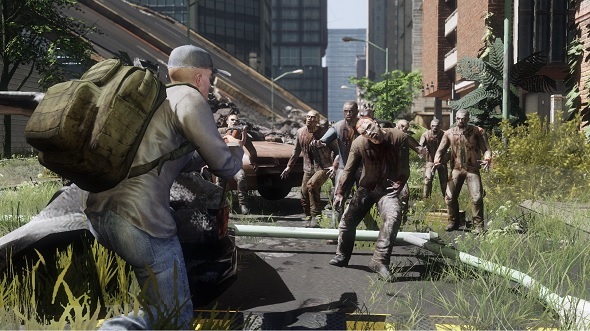 The quintessential rip-off, The War Z exploited the DayZ/World War Z zeitgeist in 2012 by offering a zombie survival first-person yada-yada-yada that was cashing in on its peers’ successes. The War Z (as it was known until the US Patent office decided it was too close to the movie, World War Z), shot to the top of the Steam Charts upon release, only for players to discover that it didn’t offer what it purported to. See a pattern forming here? Creator Sergey Titov was forced to change the Steam description page several times after touting features that weren’t in the game. Such absent features included multiple maps, 100-player servers, and map sizes were also grossly exaggerated. The community also accused Titov of being uncommunicative and abusive, banning players from forums and name-calling those who disagreed with him. On the bright side, the whole ordeal caused Valve to bring some order to Steam, which was still something of a Wild West at that point. 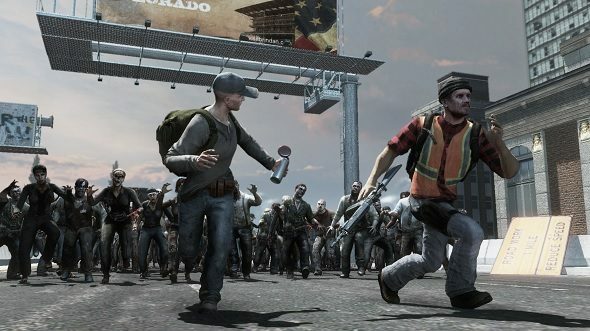 Valve temporarily removed The War Z from Steam until it was in a playable state, and took the rare step of offering refunds to players who felt betrayed by the game. Today, Valve have a proper refund system, and made some inroads to cracking down on dodgy or scammy games – perhaps we owe a ‘Thank You’ to the bellicose Titov (followed immediately by a double-slap with a velvet glove). Visionary-turned-pantomime-villain Peter Molyneux’s has plenty of successes to his name, and that gravitas helped to raise $500,000 on Kickstarter for Godus, a game that was expected to be some kind of divine fusion of Populous and Black & White. Say what you will, but Molyneux gave one hell of a pitch. 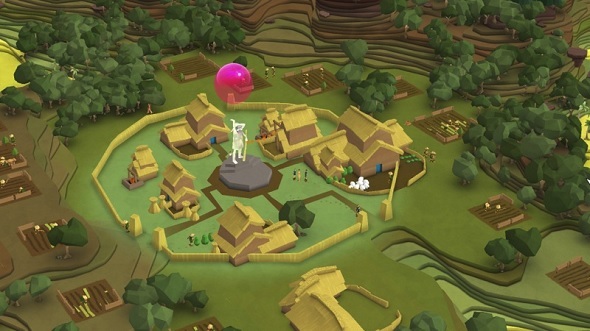 When Godus launched on Early Access in 2013, however, gamers quickly clocked that it was a false idol rather than the Second Coming of Populous. 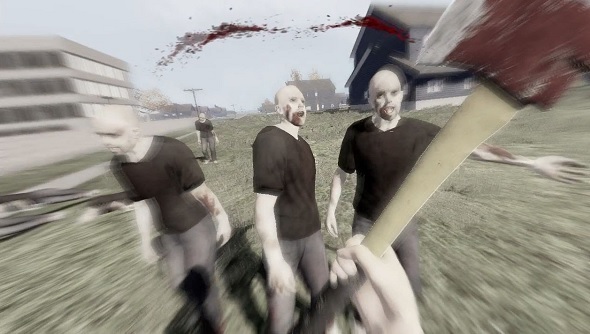 The game was skeletal, and its development hardly progressed over the next year, with no meaningful mechanical improvements and little communication from Molyneux and his team. Moreover, Molyneux had enraptured gamers in Curiosity, a mobile game where millions of players collectively tapped away at a cube until a single player eventually reached the mystery prize in the middle. When Scottish student Bryan Henderson ‘won’, he got a message from Molyneux himself, saying that he’d receive royalties from Godus’ sales and be a “God of Gods” in-game… whatever the hell that meant. As it turned out, it meant becoming the poster-child for Godus’ failure – a sad face reminding us to always be wary of nebulous Early Access promises. Henderson never got his reward, and Molyneux became an industry pariah, accused by fans and journalists alike of broken promises, impossible ambitions, and even – rather unfairly – pathological lying. Even new 22cans CEO Simon Phillips later admitted that Molyneux had “fucked up.” Now, over two years since Phillips’ interview, Godus is no closer to completion. Time Ramesside is an omnishambles of flipped assets, unresponsive shooting, and enemies that collapse into the walls and ground, only to reappear right on top of you. Oh, and some of the intro footage has clearly been nabbed from an Unreal Engine 4 tech demo. Like some malaria-induced hallucination, the action jumps incoherently between scenes – from snowy base, to spooky indoor area with zombies and creepy-girl voices, to a blank screen denoting the end of the game (at least, that’s what we assume it is). It’s a game so incomplete that even the video thumbnails on its Steam page are broken.